How many of you out there actually apply skin oil before jumping onto your bed? Well, I do but SELDOM because I don’t like the oily feeling most of them leave behind and i don’t wanna dirty my pillow! Most importantly, I’m plain lazy and forgetful! I was thinking hard whether to accept this product for review because I don’t wanna waste it.. think and think and think.. and decided to give it a try! Do I like it?? Well..Read on to find out. I’m not sure if you want me to bored you with Palmer’s brand’s story but in short, Palmer’s was founded in America more than 170 years ago in 1840 and they have a wide range of products. Palmer’s is against animal testing and all of the products are cruelty free. Majority of Palmer’s products are free of parabens, phthalates and sulphates too! 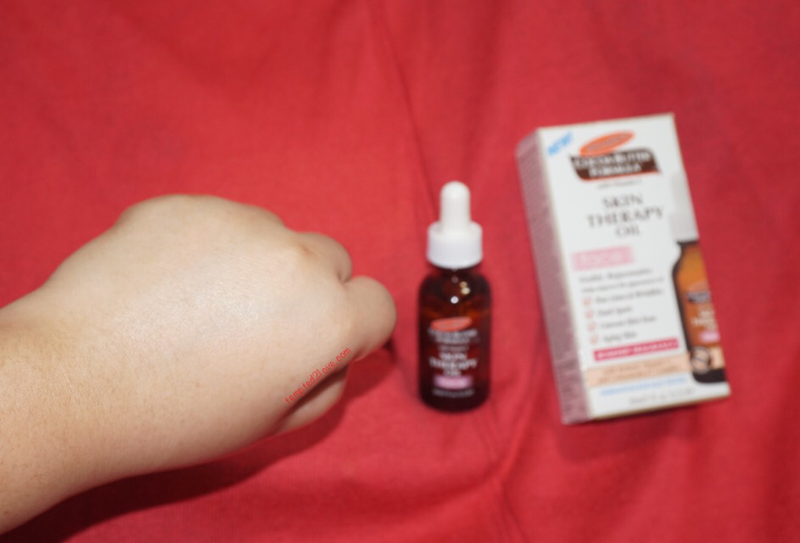 Palmer’s Skin Therapy Oil for face – Age-defying, multi-purpose skin perfecting dry oil for face & neck! Palmer’s Skin Therapy Oil Face delivers a pure shot of nine super oils blended with Retinol and Vitamin C to breathe new life into the skin. Together with Palmer’s unique Rapidermal Absorption Systeme, which helps the ingredients penetrate deep into the epidermal layer, Palmer’s Skin Therapy Oil Face is free of parabens and phthalates so you know you’re doing good by your skin! Pure Cocoa Butter: Deeply moisturizing. Coconut Oil: Helps moisturize and form a protective barrier, strengthens tissues. 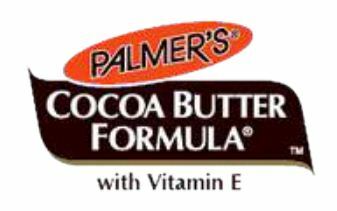 Palmer’s combine these ingredient to create a superior anti-ageing serum not yet seen in the oil category. That looks oily already but these are all good oil! These remarkable oils together with Vitamins A and C help heal, moisturize, reduce the appearance of lines and wrinkles, lighten dark spots and even skin tone. Retinol (A natural derivative of Vitamin A) boosts the production of collagen and increases cell turnover. Improves skin’s tone and texture helping reduce the appearance of lines, wrinkles uneven skin tone and dark spots. Vitamin C is a strong antioxidant, responsible for growth and repair of tissues, production of collagen. Helps brighten and even skin tone and texture. 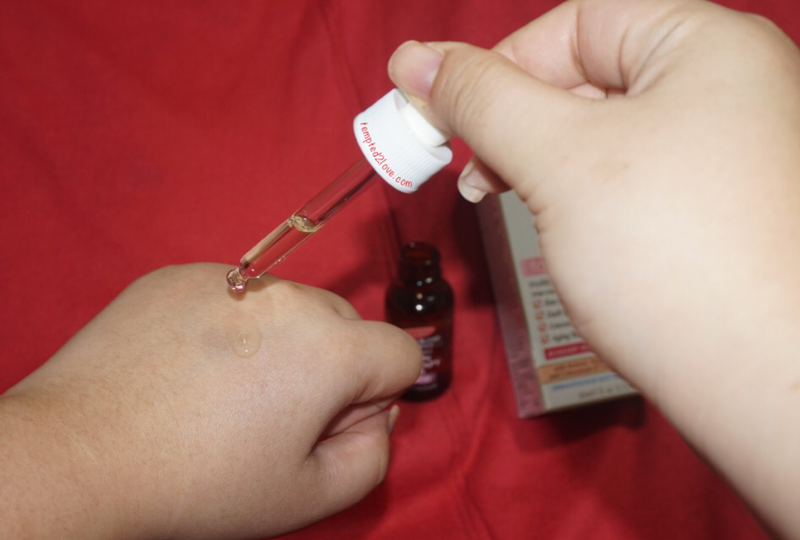 Had tried this oil for about a week now – only use at night after you cleansed your face. First impression of this oil? Wah.. it’s really OIL.. LOL!! (of course dummy!!) It’s dumb for me to describe it as lightweight because oil itself is very light – isn’t that’s why it floats on water? But it is really lightweight. It doesn’t gives my skin any burden. Although it did feels oily when applying, the oil was absorbed within reasonable time and skin doesn’t leave any tight nor dry feeling. Another side note, it’s safe to use it around eye area (where most of our wrinkles are)! *Image when I just applied the oil. *Image when the oil is absorbed. I … (shy) don’t have much wrinkles to show you how much wrinkles it had reduced.. but fred not, I will be sharing this oil with my mom and will let her share her feedback after she used it for some times. If you would like to try this for FREE, click HERE to redeem your sample from Sample Store! Alternatively, you can head down to any Watson’s store (or Watson’s online store) to grab home a bottle at S$29.90! 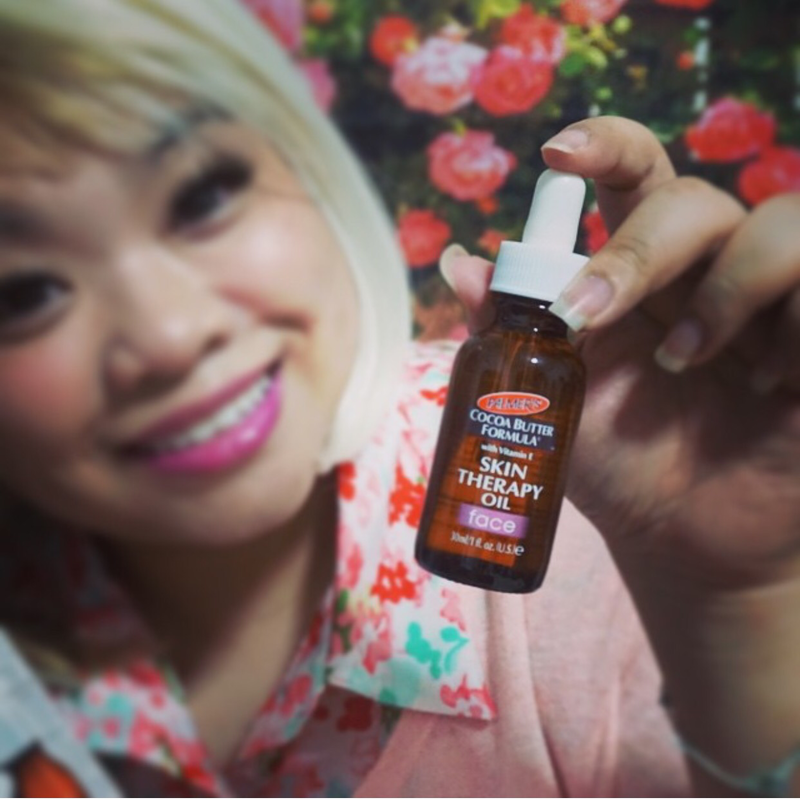 Readers who has purchased retail-size Palmer’s Skin Therapy Oil can pose for a selfie with their retail sized Palmer’s Skin Therapy Oil and post on Instagram with the hashtags #Palmers #PalmersSg #PalmersSTOFace. Contest runs from now to 25th April 2015. Winners to be announced on 30th April 2015. 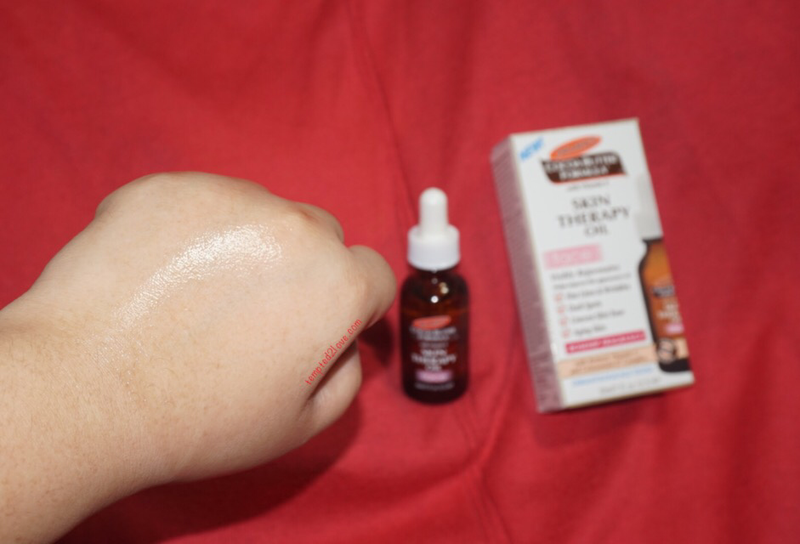 This entry was posted in .Care for Skin, Contest/Giveaway/Samples, Palmer's, Sponsored Review and tagged Face oil, The Sample Store by Tempted to Love. Bookmark the permalink.